Where is the Ravensbrück Memorial? By train: Take the regional train ( RE) 5 in the direction Berlin to Stralsund/ Rostock, get off the train at the Fürstenberg/Havel stop. This train runs every hour. The Memorial is a 25-minute walk from Fürstenberg station, where taxis are also available. 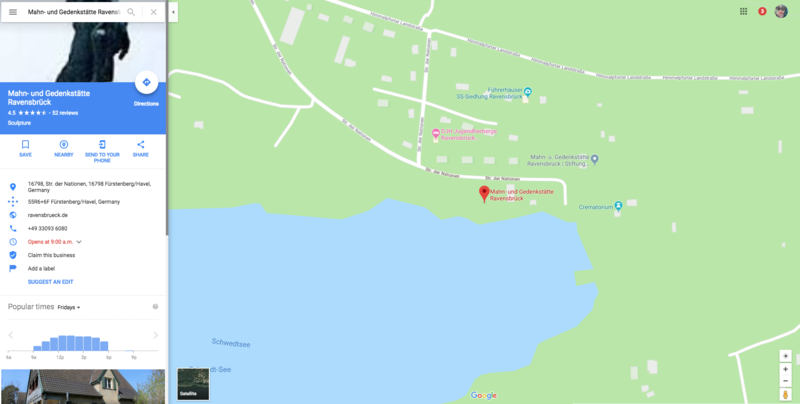 By car: Fürstenberg is located 80 kilometres north of Berlin on Bundesstrasse (Federal Highway) 96, which runs from Berlin to Stralsund; the way to the Memorial from Fürstenberg is signposted.